Daktari Diagnostics is the Strategic Partner Sponsor for the ASLM2014 conference, and played an integral role in the original corporate sponsorship team for ASLM’s first international conference in 2012. A developer of diagnostic products that address the most pressing challenges in global health, Daktari has built its business around accurate, affordable and portable diagnostics that can be deployed in any setting. Why did you decide to partner and support ASLM, and specifically the ASLM2014 conference? Our main goal here at Daktari Diagnostics is to meet the diagnostic needs of African health systems, and it is vital that our endeavours align with laboratory medicine needs throughout Africa. Being involved with ASLM is a great way to ensure that we are on track to meet the needs of our target market, while also allowing us to communicate with and learn from our peers in the global health community. After attending one of the early ASLM strategy sessions in Addis, we fully realised the organisation’s great potential to address some of Africa’s most pressing public health issues. Daktari Diagnostics had the opportunity to be an Inaugural Corporate Sponsor at the ASLM2012 conference, after which we were excited to explore additional opportunities to support and be a part of the innovative and forward-thinking ASLM community. This year’s conference theme, “Innovation and Integration of Laboratory and Clinical Systems: Reshaping the Future of HIV, TB, Malaria, Flu and Neglected Tropical Disease and Emerging Pathogens in Africa,” captures the essence of Daktari’s mission. Through innovative point-of-care (POC) technologies, Daktari hopes to change the way healthcare systems address these diseases. What are your areas of diagnostic expertise, and how does this help address diagnostic challenges in Africa? How is Daktari helping to solve such challenges? 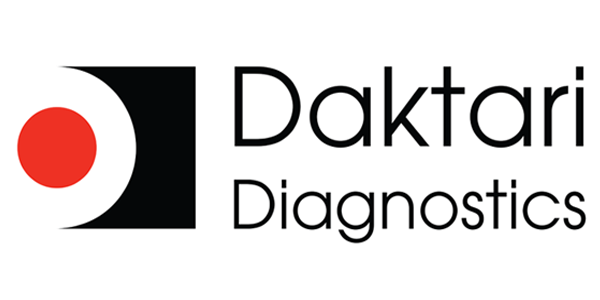 Daktari’s diagnostic expertise is in developing and commercialising POC technology. Currently, we are focusing our efforts on launching a CD4 count test for people living with HIV, as well as developing a viral load test for both HIV and HCV. The traditional CD4 testing process using a flow cytometer can be time-consuming, because a sample collected at a local clinic must often be shipped to a central laboratory hundreds of miles away. Many times, this long trip results in a spoiled sample that cannot be tested. Ultimately, this means that a patient cannot be properly staged and placed on treatment in a reasonable or safe amount of time. A POC CD4 test, which is efficient, portable and connected, allows the patient to receive a diagnosis and CD4 count in one 15-minute session, virtually anywhere. This allows for immediate enrolment in an ART programme. POC tests also decrease loss to follow-up, as the patient can determine his or her CD4 count on the spot, and be immediately counselled and educated about treatment options. It is our hope that Daktari can utilise innovative technologies in our first POC test—designed specifically for hard-to-reach locations in Africa—to create diagnostics to address other pressing conditions. You emphasise the importance of data management systems in diagnostics. Why is that, and how does that help patients get optimal care? Efficient data management systems are vital to providing the highest quality healthcare to patients, especially to those living with HIV and other chronic diseases. 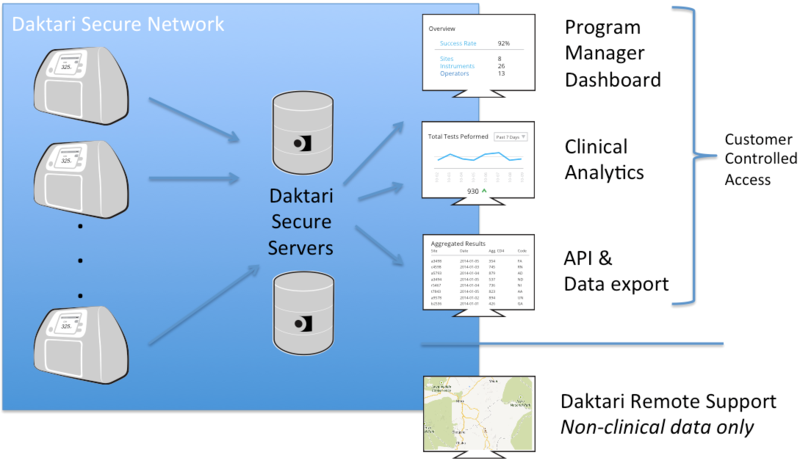 Three data management functionalities help patients get optimal care: data capture, data sharing and data analytics, all of which were considered when we developed Daktari’s data management system, Daktari InSight. With regard to data capture, we have found that the current system of keeping written patient records in large ledgers is not entirely effective. After leaving clinics, these ledgers are typically sent from one hospital tier to another; if and when the records reach the Ministry of Health, they are likely outdated, leading to inaccurate projections of the burden of disease, medication, equipment, and consumables needed for the following year(s). Daktari InSight allows care providers to input patient information at the point of care and integrate this information with the patient’s clinical result. This information is then printed and/or transmitted wirelessly over secure cellular networks, integrating seamlessly into already existing Electronic Medical Record (EMR) Systems or Laboratory Information Systems (LIS). Captured data and additional analytics can also be viewed easily via the secure Daktari InSight website. Data sharing is simplified using Daktari InSight; CD4 test results can be automatically communicated directly to the EMR system and/or LIS of choice, allowing the programme manager and healthcare provider to see the results instantaneously. This allows the provider to process results and get the patient on treatment quickly, which is essential for patients with very low CD4 counts. Daktari InSight also allows for careful data analysis by providing rapid access to clinical data, inventory levels, equipment and staff performance, and geo-location information from where the CD4 tests are being conducted. This information allows programme managers to have a real-time view of quality metrics and the health of their patients, programme, staff, equipment, inventory, and more. With the ability to track this information easily and generate reports of aggregated clinical and logistical information over time, one can monitor and conveniently share trends in patient care, inventory management, programme performance, and more. What opportunities do you see in Africa to expand POC diagnostics? Over the past few years, we have invested time and resources to develop a platform technology that can now be applied to some of the world’s most pressing global health issues, starting with CD4 enumeration for patients living with HIV. Daktari is currently developing POC viral load tests for patients living with HIV and Hepatitis C. We are also exploring opportunities to address HIV drug adherence, full blood counts, tuberculosis, and some of the leading causes of maternal mortality. We believe that the technology we’ve developed can be used to address many of these unmet needs and we plan to leverage the infrastructure we are putting into place to improve the delivery of life-saving diagnostics throughout Africa. Data communication of diagnostics requires robust ICT infrastructures in remote parts of the world including rural Africa. How do you tackle such challenges? Like much of Africa, Daktari has gone mobile. Well over 70% of patients now have access to cellular phones in Africa. The Daktari CD4 and Daktari InSight have been designed to leverage existing infrastructure and create a seamless experience for the patient, operator, and programme manager. The Daktari CD4 has an embedded global machine-to-machine SIM to transmit CD4 count results and performance data to a central database using Daktari’s InSight technology. The global SIM prevents the need for Daktari CD4 users to enter into contract agreements with local network providers. We’ve elected to utilise short messaging service (SMS) functionality, which is the most reliable method of transmission as long as a cellular signal is within reach. Daktari will continue to support endeavours made by Google, local cellular network providers, and other interested parties to improve cellular connectivity throughout Africa, which will ultimately improve data management for all. Tell us a bit more about Daktari. Why did Daktari focus on a CD4 test for its first product? 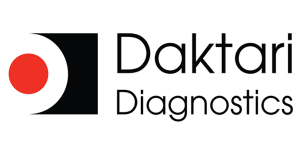 Daktari Diagnostics is a global health technology company dedicated to solving the world’s greatest health challenges. Daktari’s founder and CEO, Bill Rodriguez, MD, an Infectious Disease Physician who specialised in HIV medicine, was the first Chief Medical Officer of the Clinton Foundation. Thanks to his international experiences, Dr. Rodriguez is well-versed in the challenges that low-resource environments face in providing access to healthcare services. During his time with the Clinton Foundation, Dr. Rodriguez ran into different issues impacting Africa’s healthcare systems, one of the most significant being the general lack of basic blood tests used to monitor health. Rodriguez and fellow Daktari founders decided to take on the challenge of creating simple, portable diagnostic devices, and concluded that the most critical test was a CD4 count. Daktari experts have been involved in the development of new testing technologies, one of which appears in the December 2013 issue of Science Translational Medicine. Tell us more about such initiatives at Daktari. When we began brainstorming as to the greatest medical and diagnostic needs for rural Africa and other low-resource settings, we thought first of the medical need. What were the biggest areas of difficulty for healthcare practitioners in the field? What information or tools did they need? Once it became clear that CD4 counts were one of the biggest needs, we then focused on creating the technologies that would make a POC device possible, including microfluidics and electrochemical sensing. Daktari’s sample preparation technology, known as microfluidic cell chromatography, isolates cells and other particles in a miniature sensing chamber without pipetting, labels or reagents. A second innovation, electrochemical sensing, or lysate impedance spectroscopy, uses a simple sensor that counts the captured CD4 cells by measuring their internal contents electrically. In short, we developed a technology without optics and lasers, in order to create a simple and robust solution for use by anyone, anywhere. As described in the feature cover story in Science Translational Medicine, the new sensor technology developed at the University of Illinois and with collaborators at Daktari could lead to an inexpensive, easy-to-use diagnostic for white blood cell counts. Based on Daktari technology, the new device uses a miniaturised chip designed to process fluids and sense cells electronically. The Daktari technology can detect sub-populations of white blood cells, such as CD4+ and CD8+ T cells, and the new sensor technology can count all white blood cells as well as lymphocytes, monocytes, and granulocytes–known in medicine as a “three-part differential”—just as accurately as more time-consuming approaches that require larger volumes of blood and complex instruments. Currently, the group is working on miniaturising the setup to make the technology handheld, as well as designing a cartridge that can be mass-produced. This is one of many tests in the development pipeline at Daktari. Daktari is also very keen to leverage the infrastructure being put into place to deliver, support, and service the Daktari CD4 and bring other critical tests to the communities in which we are working and to assist in the commercial development, data management, and roll out of these novel POC technologies.